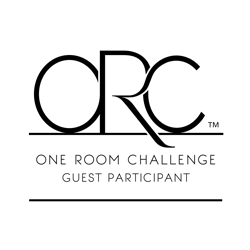 We have made it to week 5 of the One Room Challenge (ORC). That means there is only one week left. I can’t believe that we are almost done and that I have managed to survive this far. Although this challenge isn’t over until next week, you might ask would I do it again…YES I would totally do it again. However I would make sure my other life (non blogging life – is there such a thing) was not as busy (I am currently sitting on a plane headed to NYC – for the first time so excited!!!). This has been such a fun challenge but also just that…a CHALLENGE. Have I stayed up this late for this many nights at a time since college…um NO, have I almost cried many times…um YES, have I gotten bruises from hitting my knees on ladders, gotten splinters, paint all over my new gel nails…um YES, would I ever have gotten this room done without this challenge…um NO. This week I am really excited to show not only show you what I have done but also to tell you the little amount I spent. Here is where this challenge started from. 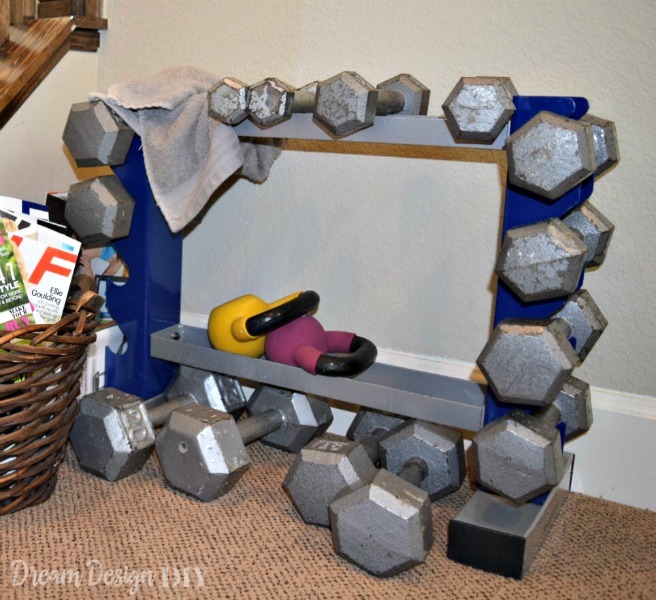 If you remember from week 1 I wanted to get items off the floor, two of these items being those workout balls. I am happy to say I was able to accomplish getting the workout balls off of the floor using one 2 x 4. 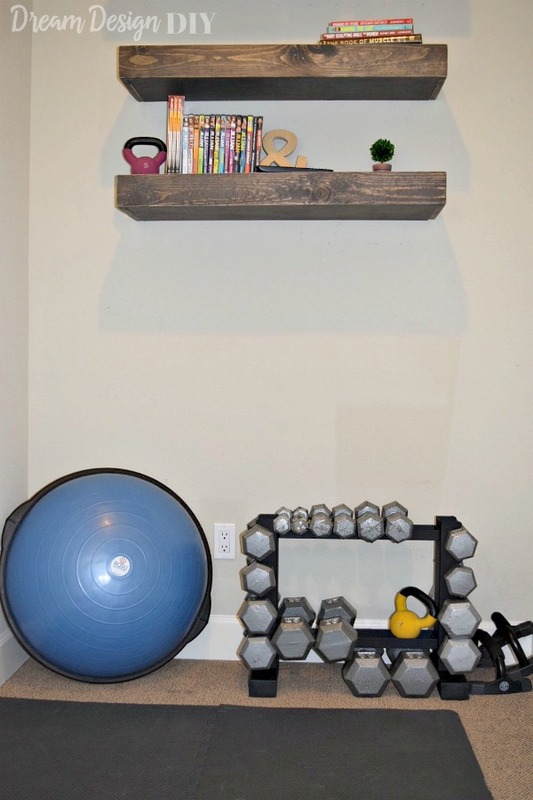 When I started researching workout ball storage I saw many ideas out there from using a net, PVC pipe, to products specifically designed to hold workout balls. Unfortunately although inexpensive I did’t like the look of the net and PVC pipe and the latter at $25 a pop, was not what I was looking to spend. I knew I could come up with something that I liked and was on the cheap. After much thinking, planning, designing, hanging with The Home Depot employee, and prototyping my dad and I came up with this. This works out perfect and I paid about $3 for it. 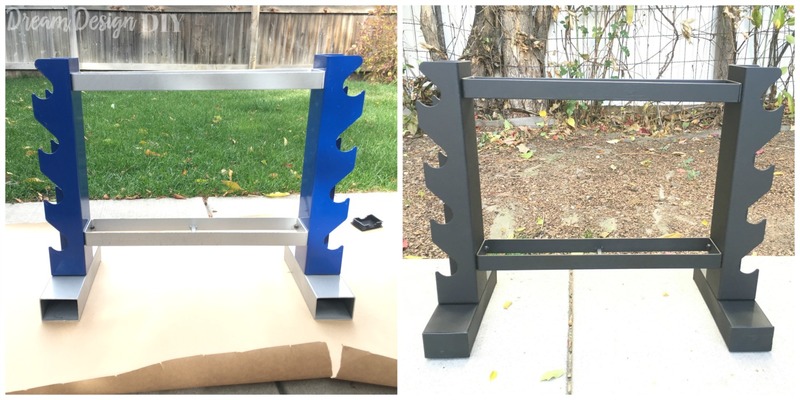 The next change progress is a simple fix I made to the weight rack. Remember this? With a bottle of black spray paint around $3, I was able to do this. I tried to get both of them in this picture. Please take some time to check out the other participants in the ORC. There are some amazing transformations happening out there. Looking forward to next week! Hi Tiffany, have fun in NYC (my hometown)! I bet you’ll have an amazing time. 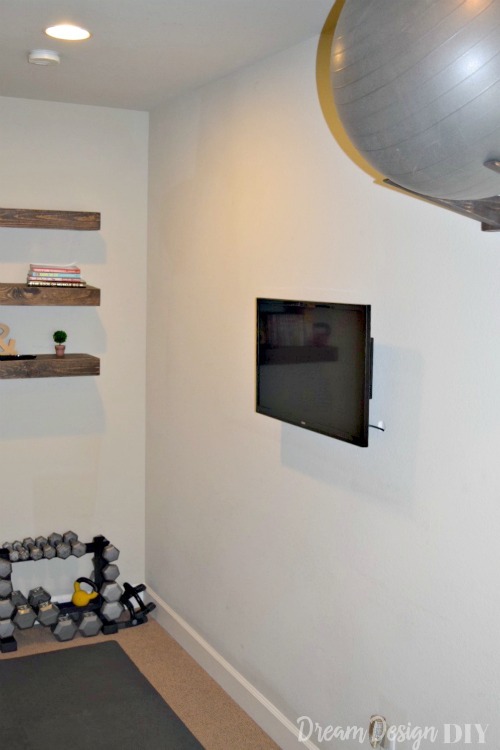 I love that you have a little tv in your workout room. 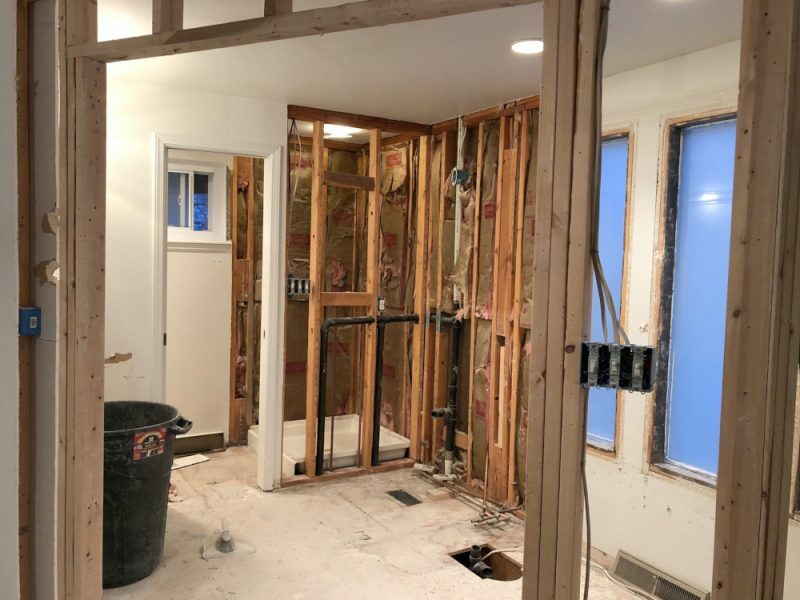 Good luck finishing up this space for next week! You still live in NYC? That was my first time and I absolutely loved it! 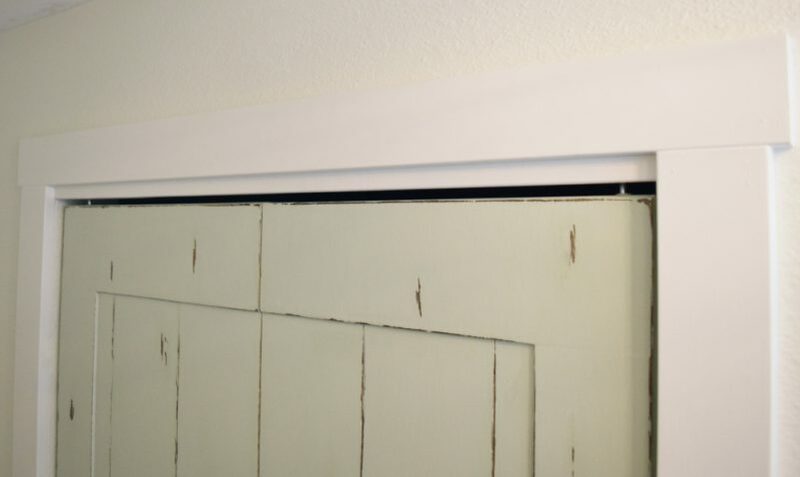 Your space looks great! I agree, I wouldn’t have been able to finish the room without this challenge. The space is really coming together! 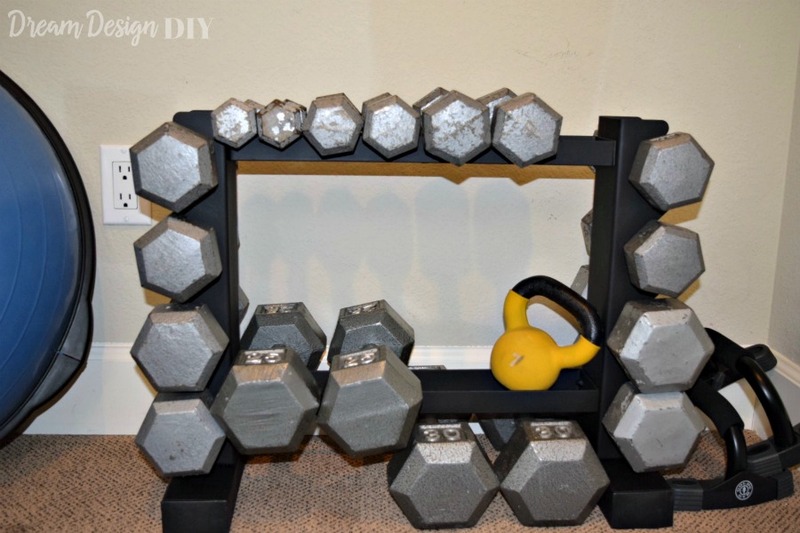 I like how you hung your work out balls and I love the spray painted weight holder! 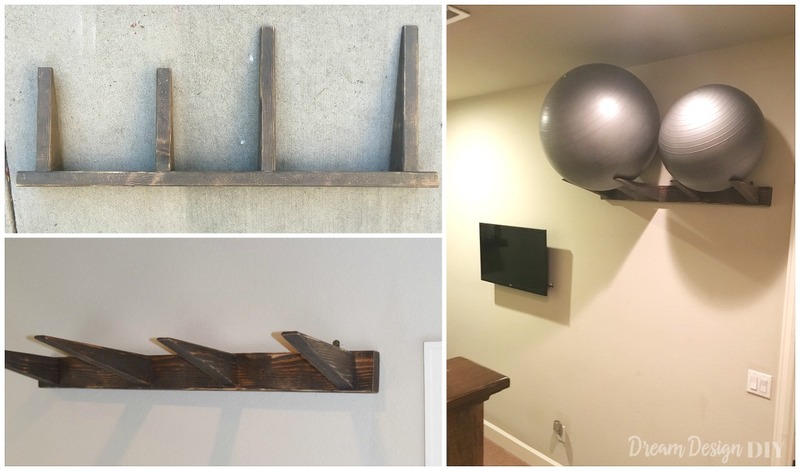 I was so happy to figure out how to hang up those workout balls and to do it cheap was even better. 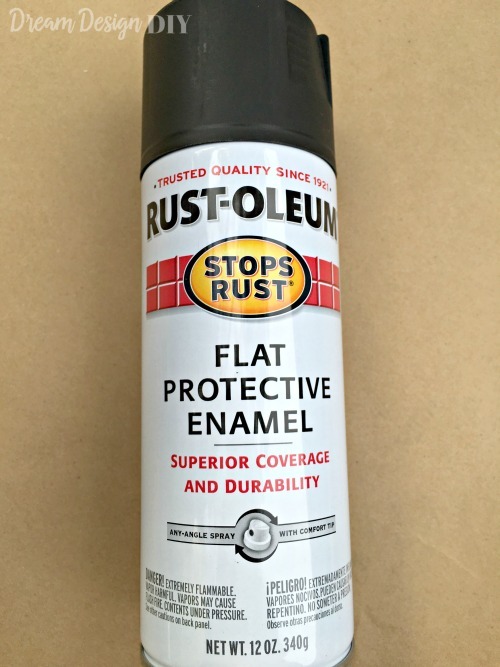 Spray paint is a miracle in a bottle! 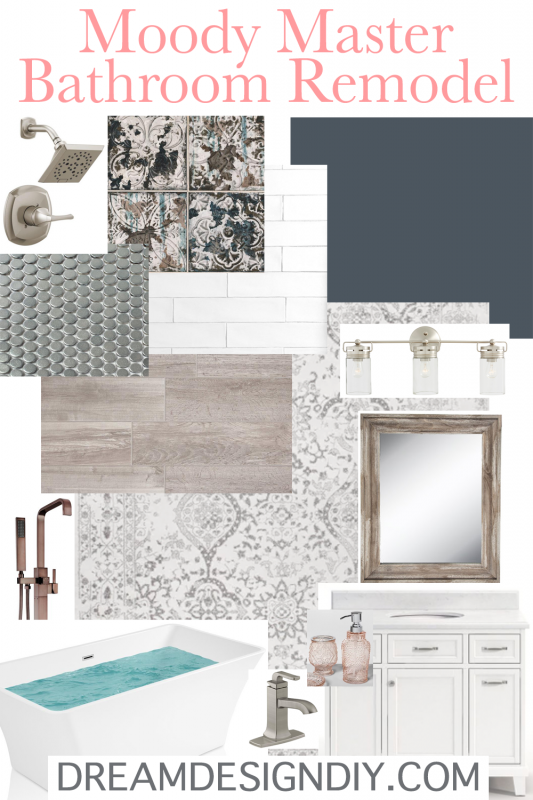 Both of your projects turned out lookin’ good! 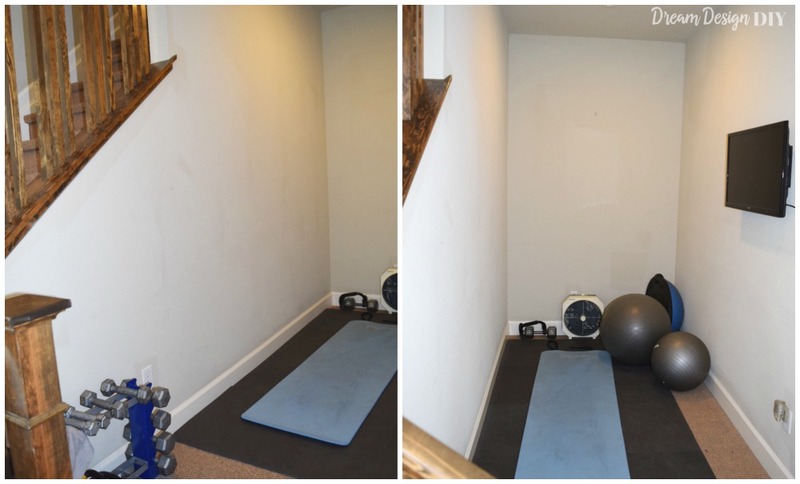 I especially love the “exercise ball holder”. 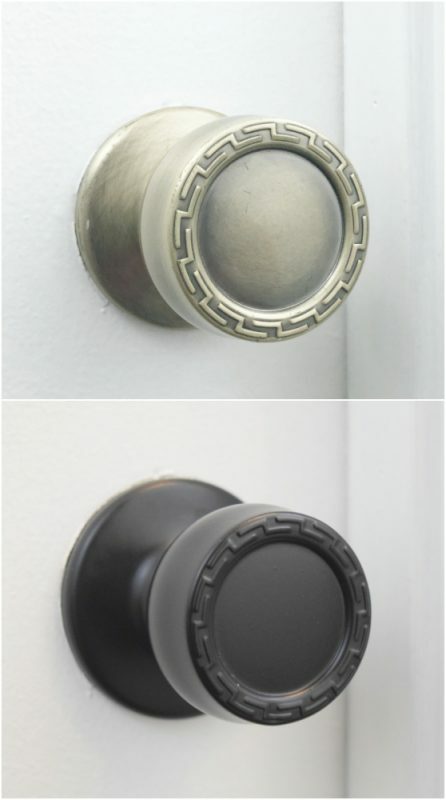 And I cannot believe how well spray paint can change the look of things. Great job! Enjoy New York! Yes spray paint is amazing and was so happy to get the workout balls off of the floor. Very nice! I love the black instead of the blue for the weight storage. The TV was a great addition as I desperately need something to keep me motivated during workouts, lol. Looking forward to Thursday! !